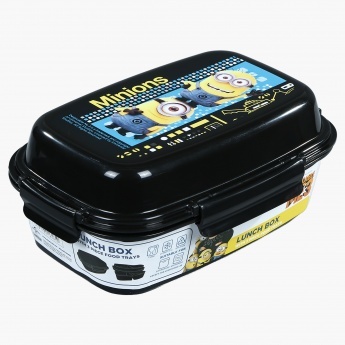 Get this lunch box to your little Minions lover and add fun to their mealtime. This lunch box with various compartments will help you fit sandwiches, fruits, etc. with ease. The lid has a clip closure to make this lunch box leakproof solving the problem of spillage without much effort.